The hand rails on the left are for a Lift Bridge which crosses the entrance to the dry dock. There’s no lifting mechanism, just a hinge at the end of the bridge, so it’s one stage nearer full restoration. 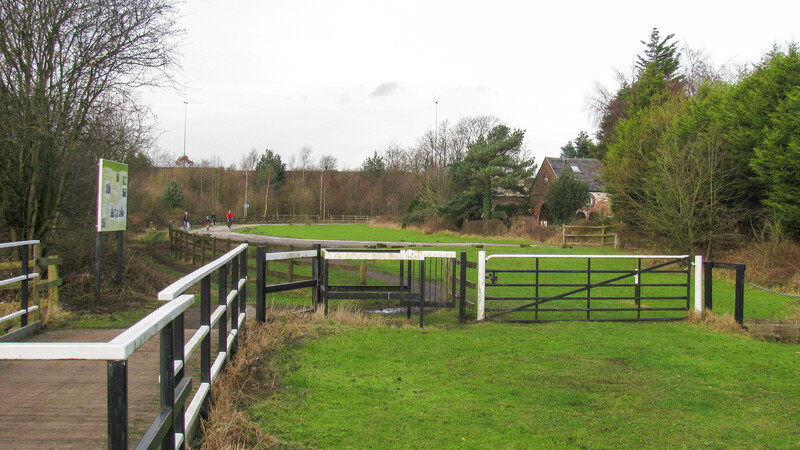 The buildings on the right are on the site of Winwick Quay where two swing bridges once crossed the canal.